Following its acquisition of several studios like State of Decay developer Undead Labs, Microsoft Studios head Matt Booty told Eggplante that the company “absolutely” wants to make State of Decay 3. In fact, he went as far as to state that “this is a State of Decay 3 team”. 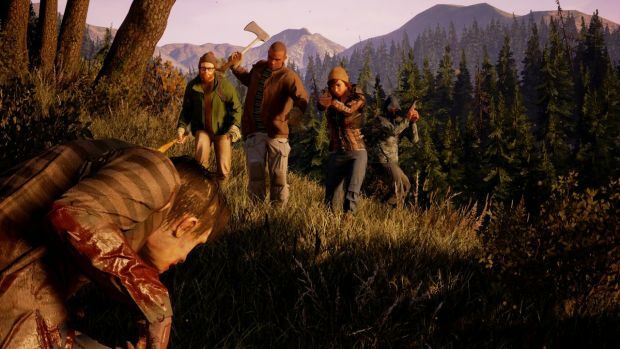 Speaking to the site, Booty noted the success of State of Decay 2, which launched on May 22nd and had two million players in the first two weeks. The original goal for State of Decay was something grander though. Microsoft could be looking for that MMO aspect in the sequel and that too as quickly as possible. The real question is whether quality control at Microsoft will help polish up many of the game’s core issues. State of Decay 2 has been fairly successful (though how many players are from Xbox Game Pass hasn’t been confirmed), it was criticized for its lack of polish, bugs and glitches. While State of Decay 3 won’t happen immediately, Undead Labs working under Microsoft Studios could bear fruit for the latter sooner than we anticipated. What are your thoughts on another sequel? Let us know in the comments.